A few weeks ago I was lucky enough to get my hands on an advance copy of Amy Palanjian’s latest book, So Pretty! 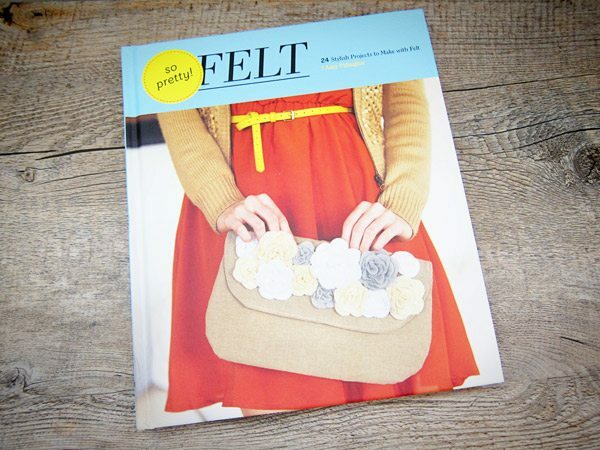 Felt, which is loaded with 24 super pretty DIY ideas all made with felt. Felt is a an old school crafting favorite of mine, namely because it’s inexpensive and forgiving. It comes in loads of great colors, it’s easy to work with and it has a certain charm that I just love. 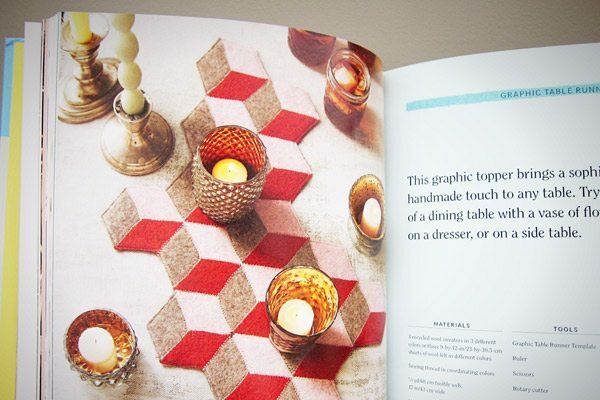 Plus, Amy is the former deputy editor of ReadyMade so you know the lady knows her stuff. 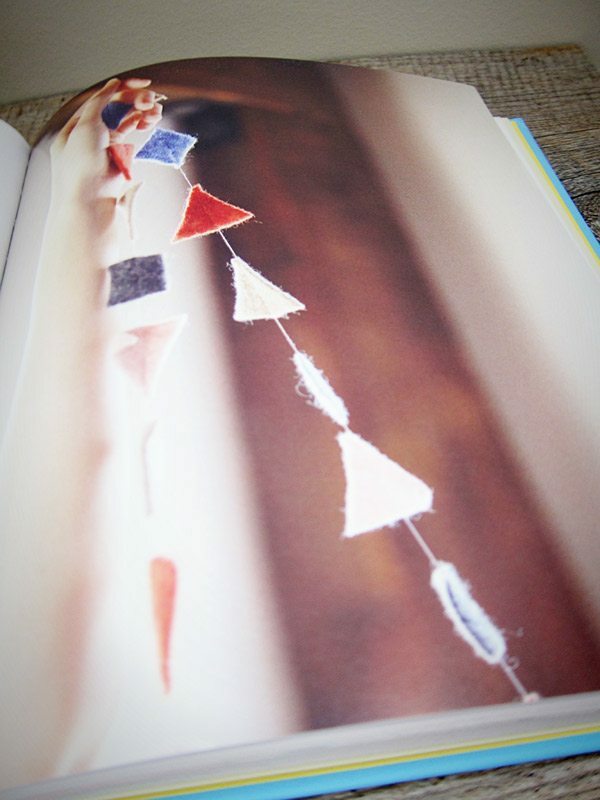 What I love about this book is the range of fabulous projects that Amy includes, all of which are really approachable even if you’re not a sewing pro. (Because, guys, I am the farthest thing from a sewing pro you’ll ever meet.) 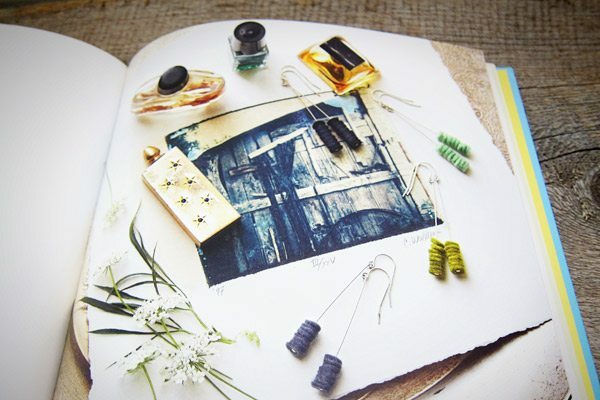 Plus the photography and styling is lovely and the book itself is just beautifully designed. 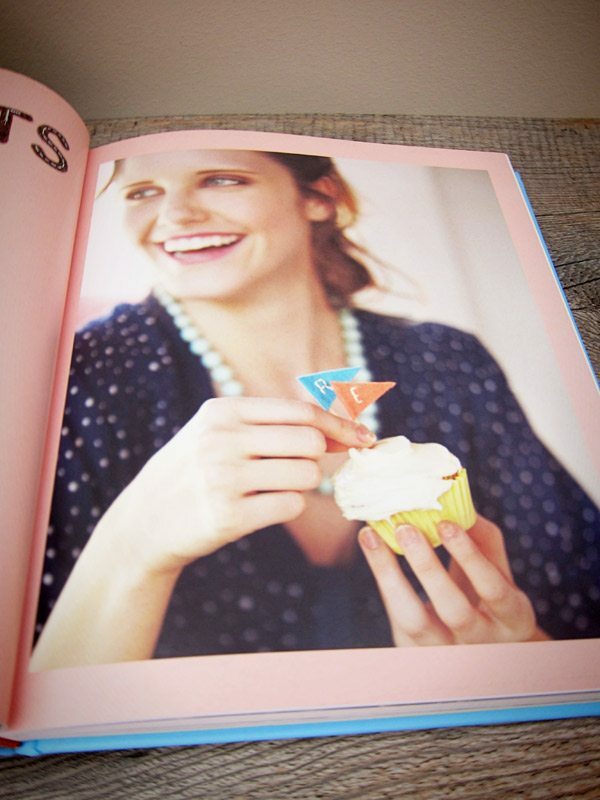 Some of my favorite projects are the little felt cupcake flags and the dainty felt bunting – so perfect for parties! Or for yourself, the felt earrings and gorgeous felt statement necklace are totally my groove. Add in a whole host of sources for supplies and inspiration and this is a truly fabulous little tome for you crafty types. Want to see more? Pop over to our Facebook page for more photos and thoughts about the book. Enjoy! No compensation was received for this review. All opinions are my own.